The physical learning curve was easiest. As a gamer for many years, using a controller holds no fear. A matter of muscle memory and practice. The mental learning curve takes more. Days were, anyone could go into a store, buy a drone and throw it in the air without training or practice. Many drone horror stories were caused by fools with beer in them. I think it’s important to point out that things are changing. From June 1st, all Canadian drone owners must be certified and carry with them documentation to prove it. Without it, you are looking at a world of financial hurt, and possible jail time. Seriously, not worth it. Get certified. To get that certificate requires extensive study and passing an exam. A real exam, issued by the actual Canadian government. There are a lot of rules to learn, a lot of laws to know. Covering things like theory of flight, flight ops, navigation, aviation law, emergency procedures and radio. Real world studying is required if you want this. I did. I was one of the first to take the exam. I passed, and am proud to say I am fully certified to fly in Canadian airspace. And that is what this article is about. Kind of. 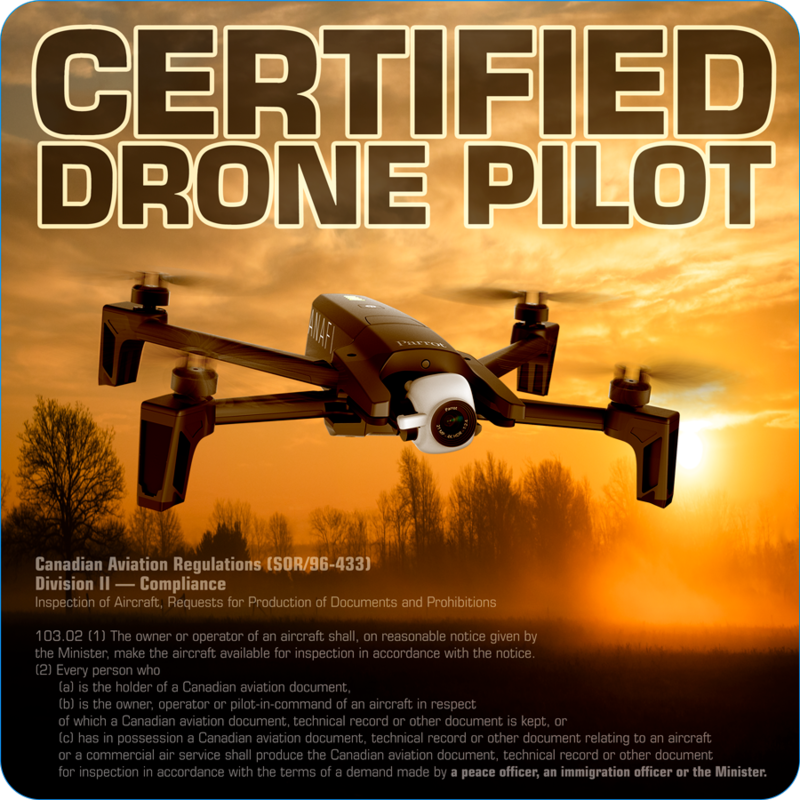 It is common knowledge that from June 1st, Canadian drone pilots must be certified. What is not so well understood is who can legally demand to see certification and registration documents. I fully expect to be challenged by members of the public when I take the bird up. Just like pointing a camera in the direction of a crowd of people, it can make them uneasy. I get it. Street photographers face this every day. I’ve encountered it. But when an irate citizen marches up and demands to see your drone license, what is a drone pilot to do? Especially if the bird is still in the air while someone is yelling at them? Tugging at their arm? A distraction, at best. Downright dangerous, at worst. First, relax. 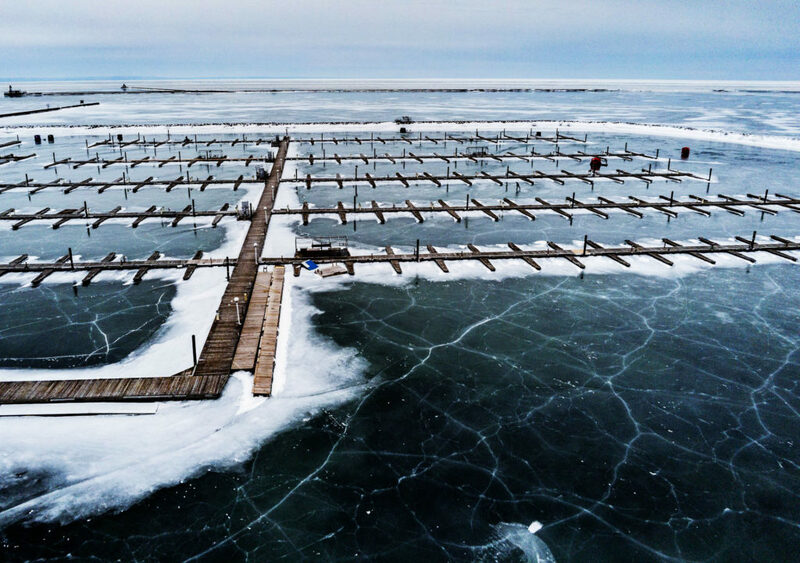 If you are licensed, you already know where you can and can’t fly. Second, that irate citizen is the one breaking the law. By interfering with flight operations they are causing imminent danger to the public. Straight up, they can be arrested for that. You can tell them so, if necessary, to get them off your back long enough to land the bird. Third, smile. And point to your chest. At the T-shirt I made for you. This is the practical project part of the article. I took one of my favourite sunrise photos and put a shot of my drone on top. A little Photoshop, then I added “Certified Drone Pilot” in large text. Below that I included an extract from the SOA regulation which states who can legally demand to inspect a drone pilot’s documents – that does not include Joe Public. By law, only (and I quote), “… a peace officer, immigration officer, or the Minister.” can demand your docs. Which is perfectly fair. Otherwise, it’s like me demanding to see your driver’s license or SIN number. You don’t have to show it just because I say so. I mean, your driver’s license has your home address on it – and so does the drone certificate. I’m not giving that up to Angry Man. I will be wearing this T-shirt with pride, whether I’m flying or not. I earned my certification. I didn’t make this design for confrontation, but for fun and for conversation. If it comes to it, though, I expect to be able to land my drone while irate citizen is reading – which helps public safety. We can worry about dealing with the angry factor once the bird is safely down. This design will, I hope, minimize confrontations. The words ‘Certified Drone Pilot” might be the difference between a civilized conversation, a punch up, and a drone crashing into a crowd. I am a certified drone pilot. I just ordered my T-shirt. If you would like one of these yourself, a range or wearables for both men and women are available, in a range of colours, along with other items like phone and tablet cases. They can be found along with my other offerings at the link HERE.